When you own a hybrid vehicle in Los Angeles, you need to find a reputable facility for hybrid car repair in the area. At North Hollywood Toyota, our professional staff is highly trained and ready to repair your hybrid vehicle in Los Angeles and the surrounding area. We know what it takes to provide the highest levels of customer service, and our goal is to have every one of our customers completely satisfied. When you keep your hybrid vehicle properly maintained, you will have years of dependable use out of your Toyota. The well-trained staff at North Hollywood Toyota Service is ready to treat your hybrid vehicle with the care it deserves. When you follow all the recommended maintenance on your hybrid vehicle, you will continually maintain the integrity of your Toyota vehicle for years to come. When you get service at North Hollywood Toyota for hybrid car repair, you will be offered a courtesy shuttle service either back to your home or to work as long as this is within five miles of our facility. If you choose to wait for your car to be serviced, you can enjoy the comfortable seating, big-screen tv, and free coffee and doughnuts in our newly renovated waiting area. 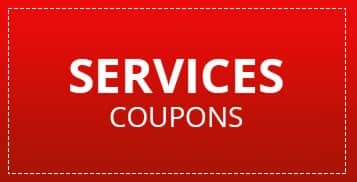 For hybrid car repair in Los Angeles, all parts that are used and labor is guaranteed for one year from the date of service, no matter how many miles you put on your car. Most extended warranties are covered by our department, and we offer wheel packages for your hybrid vehicle to keep you safe on the road. Hybrid car repair requires specialized training in order to get it right. Our facility is committed to keeping your car running in top shape, and we have the training necessary to problem solve and repair issues with your hybrid vehicle. When you leave your Toyota hybrid in the hands of a less qualified facility, you are taking a risk with your vehicle that is simply not necessary. To keep your hybrid car running well, you need to follow a schedule of maintenance that ensures your vehicle will be in top working order. In addition, when your car is properly maintained, it will have a higher value when it comes time to resell your vehicle. A solid maintenance history is the key to getting the most money out of your vehicle once you decide to sell it. If you are noticing your hybrid car isn’t running well, or a warning light is one, you need to get your car checked out right away by a reputable dealership. When you need repair for your hybrid vehicle, it’s time to call North Hollywood Toyota at 800-758-5949 and set up your service appointment today. We are ready to provide you with great service for your hybrid vehicle as soon as possible.